* You could easily fry these on the stove and they would probably be juicier. 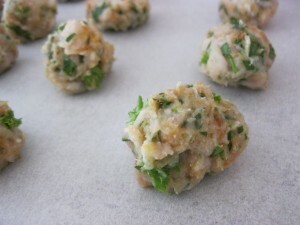 I just find with a little one at my feet, its easier just to put things in the oven and walk away from the kitchen. 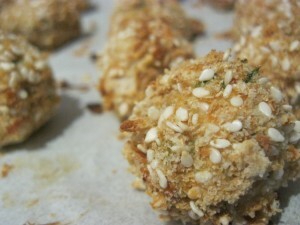 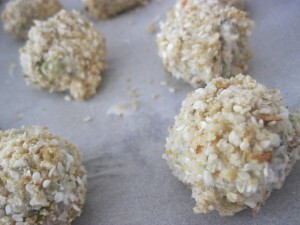 *You can also use yogurt, crumbs and sesame seeds to coat cut up chicken to make nuggets, baking them in the oven. 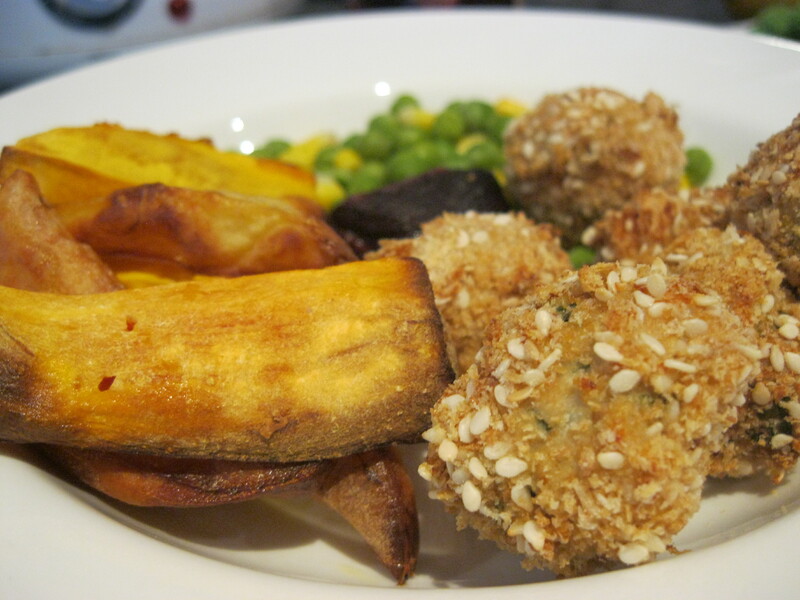 I served this with homemade sweet potato, regular potato, pumpkin and beetroot (from the Garden) chips and peas and corn. 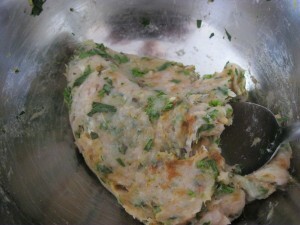 I also served it with some homemade fermented tomato relish. 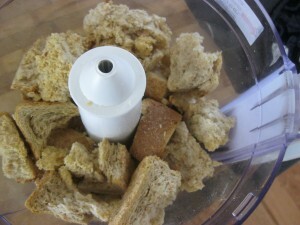 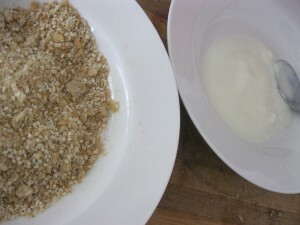 -I made my own breadcrumbs out of good wholemeal bread that was going stale in the fridge. I simply dried it completely out in the oven and then whizzed it in the food processor until it was crumbs.